The latest punishment means the commission has now issued Google with almost $10 billion in fines from probes into various parts of the Silicon Valley tech company’s business. In the latest ruling, Google and parent company Alphabet were found to have breached EU rules by imposing restrictive clauses in contracts with websites that used its AdSense advertising business. 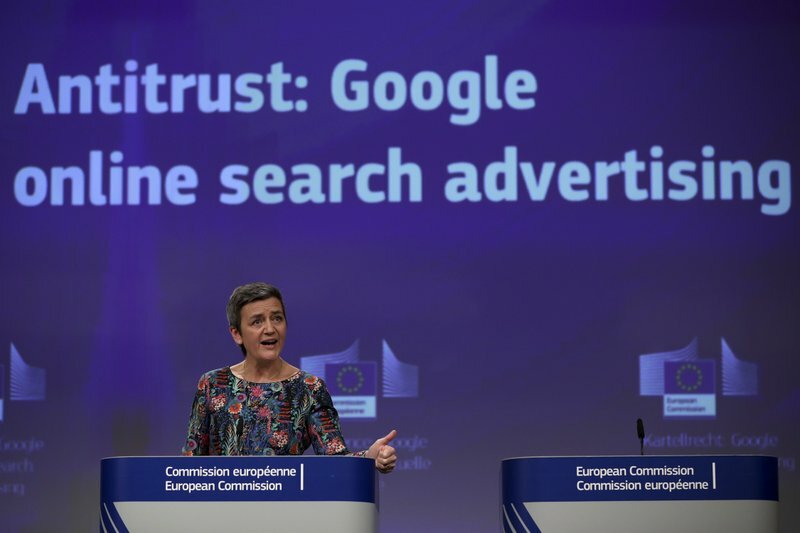 That prevented Google rivals from placing their ads on these sites, the EU’s competition commissioner, Margrethe Vestager, said Wednesday. 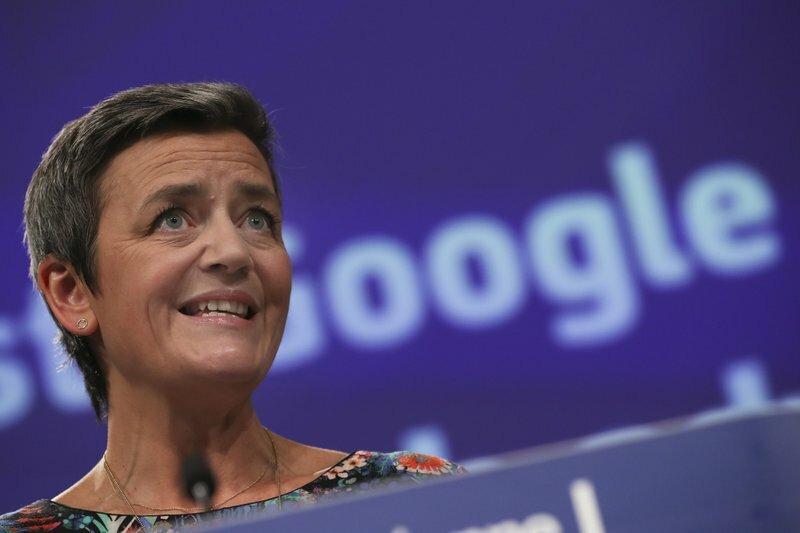 “Google abused its dominance to stop websites using brokers other than the AdSense platform,” Vestager told a news conference as she outlined the results of the long-running probe. Microsoft filed a complaint with the EU in 2009 about Google’s service and the commission formally launched its probe in 2016, although it said at the time that Google had already made some changes to give customers more freedom to show competing ads. 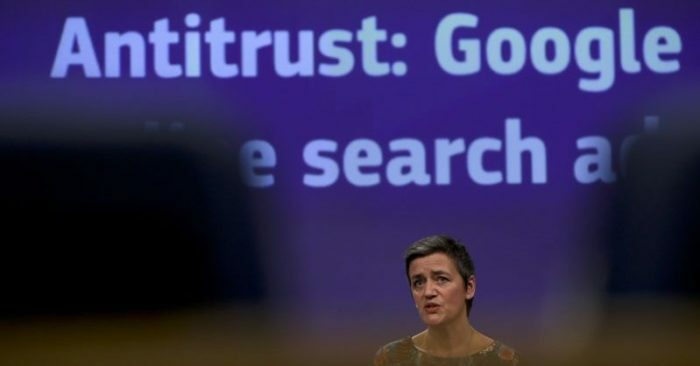 Google’s case highlights how the EU has led the way in promoting tougher regulation for the big tech companies . Besides cracking down on antitrust breaches by multinationals like Microsoft and Intel, the EU has enforced tougher data privacy rules that affect Facebook and other social media companies. “We’ve already made a wide range of changes to our products to address the commission’s concerns. Over the next few months, we’ll be making further updates to give more visibility to rivals in Europe,” Walker said in a statement.